Not exactly a crashed aircraft, but worth a mention here. Thanks to Chuck Clark for pointing me to this "crash site". All photos taken 4/6/2002. This 1937 Chevy 4-door Sedan (look, it has suicide doors in the back!) 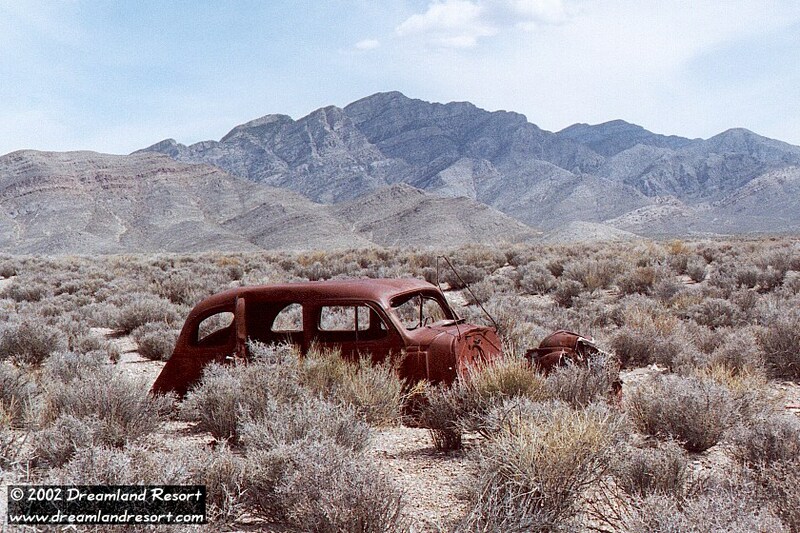 is located near Groom Lake Road. 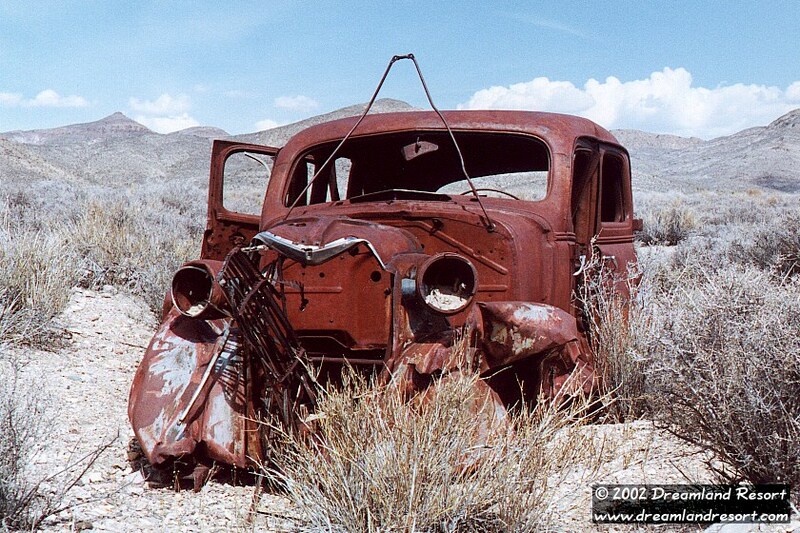 But since it is sitting in a shallow wash it is hard to see from the road. 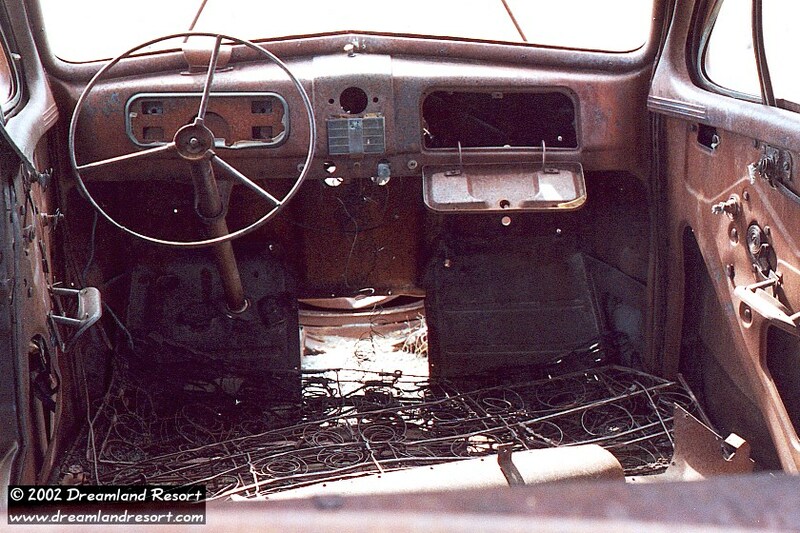 Once a real beauty and the pride of its owner, it is still in fairly good condition. Well, considering it is 65 years old, of course. ... it looks right at Groom Lake Road and the Area 51 airspace. And probably has been since before the first U-2 took off from Groom Lake! 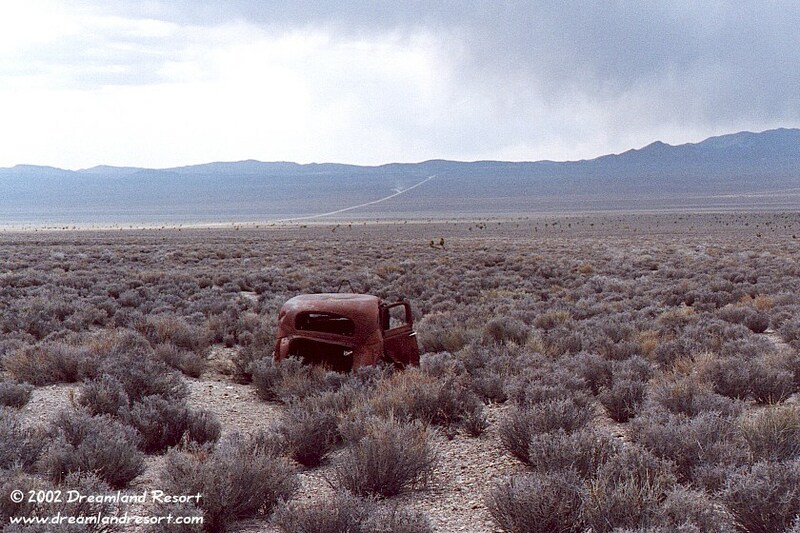 If only it could tell us what mysterious things it has seen over the years, on its lonely watch in the Nevada desert. How did it end up here? Were the passengers abducted by Aliens? ?